The Higley family has been an integral part of the Cleveland community for more than 150 years. In 1925, Albert M. Higley, Sr. founded the highly respected construction company bearing his name, which is still active today. He went on to serve on and chair numerous civic and community boards including the Cleveland Chamber of Commerce, the Greater Cleveland Chapter of the American Red Cross and the Shaker Heights School Board. 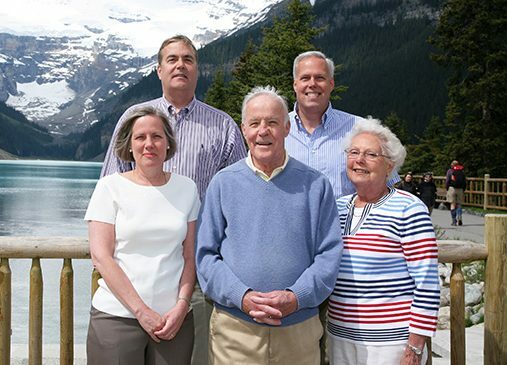 Albert M. Higley, Jr. followed in his father’s footsteps, leading the construction firm from 1967 to 1998 and committing to a number of civic and philanthropic causes. In 1994, he and his wife Beverly chose the Cleveland Foundation as their philanthropic partner and started the Higley Fund, a Supporting Organization of the Cleveland Foundation. Today, two of Albert and Beverly’s children, Bruce Higley and Sharon Higley Watts, represent the family on the Higley Fund’s board. The fund’s primary grantmaking focus is in Cuyahoga County. To apply for a grant from the Higley Fund, please visit our Grants Gateway.